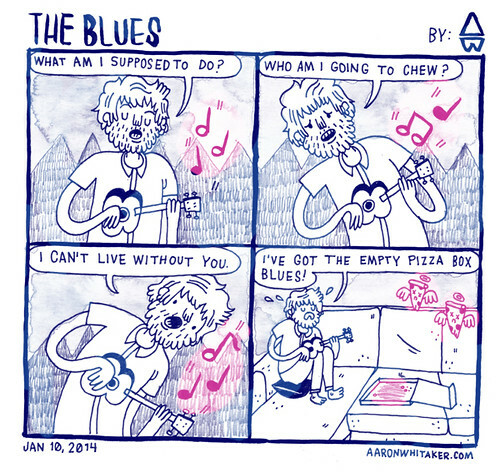 We (Melinda Tracy Boyce & Aaron Whitaker) create mostly autobio comic zines, but also have a few fictional comic zines, art prints, and a graphic novel. M: The Melinderly #2 (full-color autobio and fictional comics). 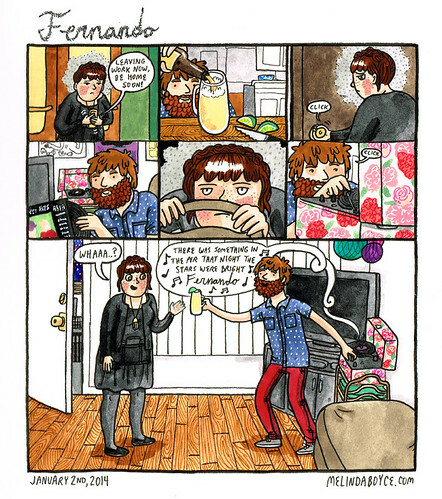 A: Awkward Quarterly # 4 (autobio comic zine), Lurve (a Woody Allen fanzine), and maybe more if I get my act together. M: When I started making comics in Portland, OR I met a great group of cartoonist that introduced me to the zine scene. A: When I saw what Melinda was doing I thought it was really cool so I copied her. We really enjoy meeting new zine/comic people and seeing old friends that come in from out of town. To see more from Aaron and Melinda, Bangs and Beard online!